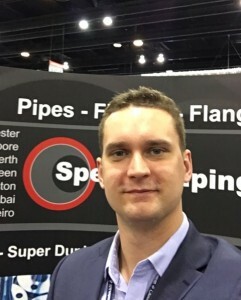 Special Piping Materials has promoted its Business Development Manager, James Deeney, to General Manager in Houston, Texas. James will take over responsibility for all aspects of Special Piping Materials’ business in Houston, Texas, including the management of both the revenue and cost elements of the company’s income. With experience spanning six years in the Oil & Gas Industry, he has worked with Original Equipment Manufacturers (OEMs) on sizeable CAPEX projects, EPCs and Operators. James decided to move to Houston three years ago during which time his professional focus turned towards supporting Midstream and Downstream Projects. His achievements include supporting the Magnolia LNG, Texas LNG and Dominion Cove Point LNG Projects in addition to small-scale projects through leading EPCs and OEMs.